You know what QR Code payments are and already pay for Uber rides with Paytm. With the new Paytm QR Code payments, you can now pay autorickshaw drivers also. Even grocery stores, paanwalas, and just about any other small business. If you have a small business yourself, you can now receive money in your bank account via the Paytm Wallet. But first – what is a QR Code? A QR Code is a 2D barcode that can store a lot of information. You can scan and read a QR Code using a smartphone application. 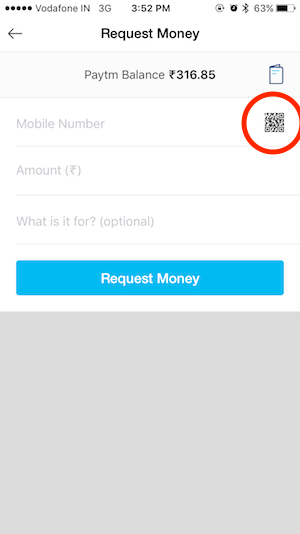 How Does Paytm QR Code Payments work? With Paytm QR Code Payments, you will be able to send and receive money for everyday transactions. If you are a business, you can print this QR Code and set it up near the point-of-sale. Your customers can scan this QR Code using their Paytm app. They will get an option to specify amount and send money. When the transaction is complete, you will get an SMS notification. Note that in this case the customer has the option to specify the amount of the transaction. With the latest update of the Android Paytm app (v.5.5.12 in Android), you can also get a placard with your QR Code and phone number. You can print this and place it in your shop. Once you see the placard, take a screenshot. Email the image to yourself and take a print out. Note: This option will only be available if you have the latest version of the Android app i.e. v5.5.12 and above. The app will generate a QR Code, which you can share with the payer. You now also have the option can transfer the money in their Wallet to their bank accounts. How Paytm QR Code Payments will help? 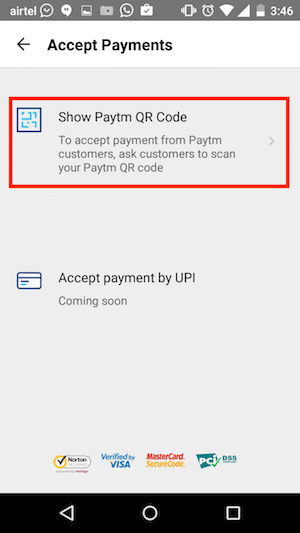 To start making Paytm payments using QR Codes, you will need the Paytm app (Android, iPhone). If you have any questions, feel free to ask in the comments below. Hi, Do you have any solution for Paytm/Mobikwik QR code generation for Payment-Receive for Merchant ? Actually, I am working on a POS system for Shop keepers and I am integrating Paytm/Mobikwik QR code to receive Payment. Any solutions you have let me know. What are the risks involved? Can’t someone maliciously use a fake QR code and receive the payment, instead of the merchant? 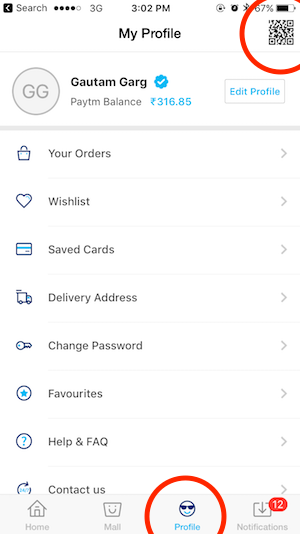 PayTM services as prepaid wallet, right? 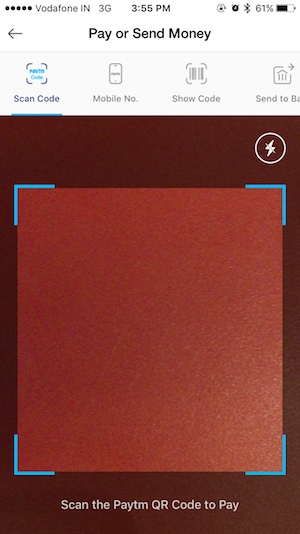 Users must link the app to a credit card or purchase value amount? Is this how Alipay operates in China? From the passage provided, PayTM is a QR code reader and the merchant provides its fixed (static) QR Code. What are the potential risks embeded with this kind of transaction? Shouldn’t there be a pin number to authenticate each transaction? Hey, I need a QR code placard to display in my office accounts department like its seen in hotels and shops. How do I get it? 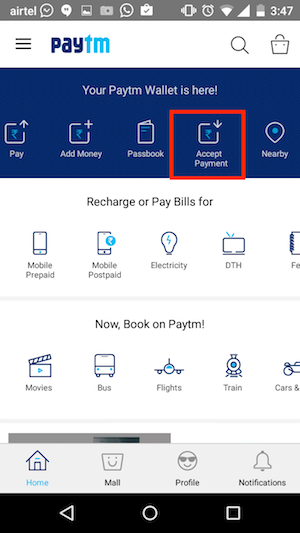 Do you have a specific question about Paytm or Paytm QR Code Payments? Please go through the article and let me know if you have any additional questions on how Paytm payments work. Sir my retail store is managed by store manager. If a customer makes a payment by paytm , is it possible to get payment in my account and message to be received in store managers cell number. You can have multiple Paytm accounts as long as you have a unique phone number for each account. hello, I have downloaded the app on my phone, and now want to create a QR code for my business. Pls tell me how to go about it? know the reason or solution? It is possible that your phone camera is not good enough to detect each element of the QR Code. Paytm may have updated the app with the QR Code scanning feature but decent camera quality is required to decode a QR Code. Hi, I am a guitar teacher and am planning to start online classes. Is it possible to use payment to receive payments from my students? Hiii, may iknow how to associatey bank account with paytm account?? To add money to your Paytm Wallet from your bank account, you can use debit card or netbanking. Hi I am a dentist , I am planing to take consultation fees and treatment fees from my patients through paytm … How to proceed ? If you have a new number, I believe you can create another merchant account with Paytm. If this does not work, I recommend reaching out to Paytm directly for this query. Hi in basic simple steps I need to know how my autowaala can use paytm . He has a basic phone no smartphone. Apart from being a peer-to-peer (P2P) payments platform, Paytm is also a Payment Gateway. Your autowaala can sign-up for a merchant account with Paytm and he will get a unique QR Code. He can display this QR Code on his auto. 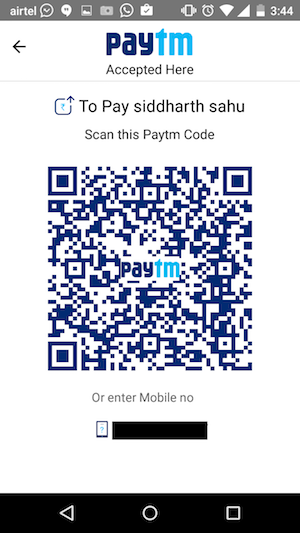 When you need to make a payment, you need to scan this QR Code with your Paytm app, specify the amount, and authorize the payment. Once payment is made, a confirmation SMS will be sent on the autowaala’s basic phone. Having a smartphone is an advantage to track payments made but your autowaala can accept payments via Paytm with a basic phone as well. Ya very easy nice explanation. One more query how will he get this payment in his bank account? Typically, payment gateways have a cycle of payment transfer to a bank account. For example, Paytm will transfer all collections of the week every Thursday to the bank account of the autowaala. The bank account details need to be specified during signing up. Ok Thanks in tons. As I tried to reach Paytm in this regards, but in vain. They do not have call center and no reply on email till date. Thanks to you to provide me details so fast. Hi! I wish you can help me, Im from Paraguay, South America, and I am interested in the bussiness of qr code payment, do I need to get a legal representation for the qr code use in my country? As you can see I really getting started on this. My example is the Wechat, main chat app in China that use a wallet with a QR code payment mode. Thanks! Thanks a lot! I talked with people of Paydiant and Venmo and they help me a lot to, sadly they work only in the US. So I understand that I have to develope from the very begining the payment gateway, banks systems, and integrations with the reailers as you said. Yes it is, but is kind of new, they aren’t fully working or to be honest totally not working yet.